We are a young internet radio station from germany with focus of hot dance tracks and top hits. We offers you fat beats for your ears around the clock. This hot online radio station broadcasts 24 hours a day. If you love to listen to dance tracks and brand new chart hits, you are exactly right there! Next to there main program Noise On FM offer you specific programs providing all kinds of music. Every monday, tuesday and wednesday evening 20:00 (CET / CEST) is held under the slogan „House People“. You want to relax before start in your next party weekend? than you should try “Ambiente” every thursday from 20:00 (CET / CEST). This and much more you will get on Radio Noise On FM. BTW – you can find the complete program in our broadcast schedule. 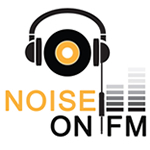 We wish you lot of fun and phat beats with noise on FM – your Nr. 1 online radio station!